You introduced me to ballet and acting. Thank you for being such a lovely dancer, professor and person. It’s soooo much fun to have you as my ballet teacher! You look so elegant and graceful. Very very beautiful! 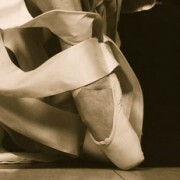 I have never practiced ballet like this before. You make me love it so much. Thank you for bringing me into this fantasy. One of the best memories for me at LSE. Wish you young and graceful forever. Tasha Bertram is excellent ballet teacher. She improves her students’ technique as well as artistic expression. She offers unparalleled individualized attention and pushes her students to excel. She is a pleasure to work with and I only wish I had met her earlier in my ballet training! If I had done so I am confident that I would have pursued a career in dance, rather than one in politics. Nonetheless, continuing to learn and improve even after I thought my ballet days were over has been an unexpected and welcome surprise for which I thank Tasha. Tasha Bertram is the best teacher I’ve ever had. I have studied ballet in Rome with different and very qualified professional teachers, but the passion Tasha transmits to her students in class is incomparable. She is extremely professional, and very inspiring to work with. As well as technique, she teaches the art of interpreting music and movement in order to get an outstanding performance. She is an incredibly talented, enthusiastic and passionate teacher who has the capability to incorporate dance, music, acting and soul into her work and transmit that same passion to her students. She gives equal attention to every single person in her class and her corrections are always constructive and expressed in a way that is not negative or discouraging, but rather motivates the student to improve through working harder. Tasha’s classes have made me a better dancer and one that is more aware of her body and the “soul” behind a true dancer’s work.